Everyone knew it was coming – even the board and top executives of California High-Speed Rail Authority. 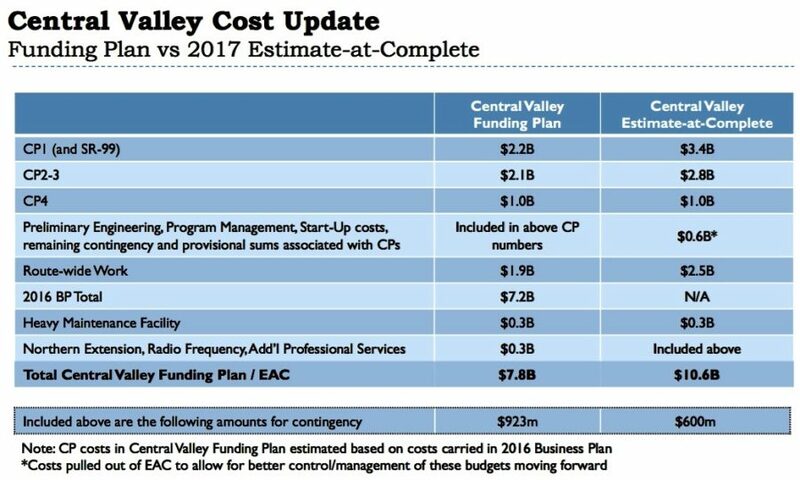 At the Authority’s January 16, 2018 board meeting, board members received a “Central Valley Cost Update” presentation. The news was – as usual – bad. The Madera to Fresno first construction segment is now $1.2 billion higher than the original estimate. And the Fresno to Kern County second and third construction segments are now $700 million higher than the original estimate. The total estimated cost of the Initial Construction Segment (Madera to Shafter) is now $10.6 billion. And this is the cheap, easy part of the route: flat farmland. Few people remember that in November 2008 voters approved Proposition 1A and authorized the state to borrow $9.95 billion to get the project underway. 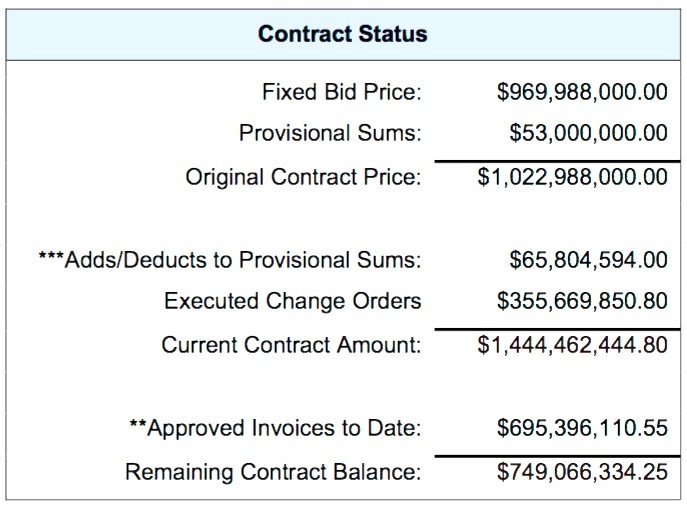 Some of that money was spent in other parts of the state on planning and “connectivity projects” such as train cars for the Bay Area Rapid Transit (BART) district. In the meantime, Governor Jerry Brown and the governing majority in the California state legislature continue to support the project. Repeated efforts by Assemblyman Jim Patterson to initiate audits of the California High-Speed Rail Authority have failed to pass the Joint Legislative Audit Committee. Lobbyists for big corporations and labor unions boost the project, in defiance of reality. 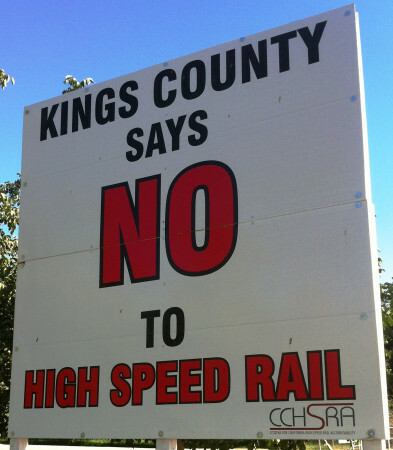 Meanwhile, Citizens for California High-Speed Rail Accountability (CCHSRA) continues to pursue its lawsuit contending that the Authority has failed to comply with Proposition 1A. But as construction creeps forward through prime farmland and quiet agricultural communities (yes, land is already being torn up), cost overruns – or a fiscally responsible new Governor – may stop the project before the courts do.